OVERNIGHT PROGRAM MANAGER Orialis Diaz has been a steadfast member of the Advocacy department since she came to Rosie’s Place three years ago. In her new role as Overnight Program Manager, she ensures a safe, respectful and cooperative atmosphere for the women who stay at Rosie’s Place each night. How does Rosie’s Place fill its 20 beds? We hold bed lotteries every day. There’s almost always at least one bed available and often a few more. We hold the lottery early in the morning so women can make a plan for their day and not spend it wondering if they have a bed here. We encourage guests who do not get a bed to check back around 2:30 pm to see if there are any last-minute openings. Guests can meet with an Advocate for information about other shelters and we can call on their behalf. These days we are seeing 20 women or more every morning for very few available beds. What is unique about our Overnight Program? Providing 21 days of shelter at a time is different from other shelters. Our overnight guests feel that it’s like having a home. With us you have roommates, a living room to relax in, and you can cook if you’d like. And being in one place for three weeks can help a woman start to look ahead if she wishes. We are a dry shelter; we have basic rules and a curfew but overall we try not to be too restrictive. Our guests are assigned one chore per day, which contributes to the upkeep of the area. The guests say it’s good practice for when they get their own place. We are also transgender-friendly and have welcomed individuals who identify as women for many years. How do we help Overnight guests find housing? I have an initial meeting with every new guest, where I learn more about them and what they might need. Many women are not aware of our services and I’m able to connect them. If a guest is interested in finding housing, she can speak to specialists who are on-site during the week or she can attend a weekly housing workshop. We’re seeing more seniors than usual, many who have lost housing and can’t stay with their families. We are able to direct them to a partner housing agency that serves elders and disabled people. We also help guests obtain necessary documents and complete housing applications. What led you to work at Rosie’s Place? I’ve always had a passion for working with women who could use a hand. I was a case manager at another non-profit when I discovered the Rosie’s Place website and I fell in love with this place. It was important to know that all women here are treated with respect and caring, because that’s not the case everywhere. I work to create trust with our overnight guests and that comes from listening and trying to meet the women where they’re at. They may start on a path forward or they may end up going back to the street; I do what I can to give them what they need. Rosie’s Place Helps Guests Find And Keep Their Home Increasingly, affordable and low-income housing in Boston is being replaced with luxury high-rise apartments and condos, leaving ousted tenants with few places to go. Waits for new city- or statefinanced housing can stretch beyond months to one, two, or three years and more. The resulting shortages of rental housing are raising the rents of market-rate apartments, making them out of reach for workers with moderate incomes. Just being able to rent an apartment involves thousands of dollars by the time first and last month’s rent and a security deposit are paid. It is in this challenging environment that Rosie’s Place works to support our guests. We offer homeless women a bed and a path to housing and, because we know how difficult finding housing can be especially after losing it, we strive to help keep guests in their homes. When a woman comes to Rosie’s Place looking for shelter, she is welcomed with unconditional love and community. Once in our Overnight Program, we allow a guest not just one night—but 21 days—to find respite from the streets, utilize our housing search services and identify next steps. We link guests to on-site housing specialists and also provide assistance with the application process. (See Q & A on this page). Once applications are filed, guests know they can rely on staff to help with any follow-up and to provide encouragement during what may be a long wait. Last year, 300 women stayed at Rosie’s Place and, with our help, 45 guests found new homes while they were with us. Once guests find housing, we assist with security deposits, first month’s rent and moving expenses. We also collaborate with other agencies to obtain furniture and offer grocery gift cards to jumpstart stocking a kitchen. And we arrange for our housing stabilization workers to meet with guests in their new homes. Taking Action at Rosie’s Place The Massachusetts Legislature will send the Fair Share Amendment to the ballot in 2018. The amendment would subject individuals with annual incomes above $1 million to a 4% surtax to support public education, affordable public colleges and universities, and the repair and maintenance of roads, bridges, and public transportation. As a member of the Raise Up Massachusetts coalition, Rosie’s Place guests and staff worked for three years to bring the Fair Share amendment to this point, gathering signatures and talking to their elected officials. While we wait to go to the ballot, we’ll now partner with Raise Up on two new initiative petitions: to raise the minimum wage to $15 and to guarantee access to paid family and medical leave for workers. Each of our 2017-2018 legislative priorities had their public hearings in May and June. We are now looking for the committees to report each of the bills out favorably. SNAP GAP/Common Application Legislation (House #655, Senate #247). This would make MassHealth and SNAP (formerly known as food stamps) eligibility aligned, and create a common application for other need-based public benefits. Repeal the Family Cap (House #1262 and Senate #1761). This would lift the TAFDC family cap so that a family would receive benefits for children born after they started receiving assistance. Safe Communities (House #3052 and Senate #1596). This bill would protect immigrants’ due process rights, prohibit a Muslim registry and prevent local police from being used to enforce unjust immigration policies. In July, Rosie’s Place joined a group of volunteers with the Massachusetts Immigrant and Refugee Advocacy Coalition (MIRA) to register newly sworn-in citizens to vote. Inside Faneuil Hall, 375 new citizens recited the oath of allegiance and received their certificates of naturalization. Once outside, the volunteers congratulated the new citizens and assisted them in registering to vote. At our Public Policy Training in June, eight guests learned about state and local government and developed their skills as advocates on social justice issues ranging from welfare reform to gun violence. On the final day, the group (in photo above) visited Boston City Hall and met with At-Large Councilor Annissa Essaibi George, Chair of the Committee on Homelessness, Mental Health, and Recovery. Nawang Diani “Several years ago, I wrote down my bucket list and then forgot about it. But when I told my friend that I was to go to the United States for YSEALI (Young Southeast Asian Leaders Initiative) Professional Fellowship Program, to be at Rosie’s Place for a month, she said, ‘Wow, congratulations! One on your bucket list is coming true.’ Yes! It was working as a volunteer far away from home, helping people, and I am forever grateful. Rosie’s Place gave me one of the best experiences in my life, to learn to help people with an honest love.” Nawang Diani, who came to Rosie’s Place through a State Department exchange program for community leaders from Southeast Asian nations. Their mission is to work with U.S. nonprofits to enhance the fellows’ practical expertise and leadership skills in order to address issues in their communities. Our development officer Katie Amoro recently returned from a stay in Nawang’s home city in Indonesia, where she helped establish a mobile meal program. Nina Finkhouse “In high school I participated in the Social Justice Institute. I learned so much during my volunteer hours about inequality and social justice, and the experience definitely contributed to my decision to apply for the community wellness internship. While in college I’ve become interested in science and more specifically, public health, so this was a perfect fit. I have gained valuable knowledge at Rosie’s Place regarding public health at the community level, the public healthcare system and how social injustices can influence health and vice versa.” Nina Finkhouse, a rising junior studying global health at the University of Toronto and one of 12 interns who volunteered throughout the organization this past summer. ROSIE’S PLACE NEWS is published three times a year to inform our friends about activities and events taking place throughout the Rosie’s Place community. OUR MISSION is to provide a safe and nurturing environment to help poor and homeless women maintain their dignity, seek opportunity, and find security in their lives. President Sue Marsh Vice President of External Relations Leemarie Mosca Director of Communications | Editor Michele Chausse Communications Coordinator | Contributor Daniela Serrano Design Colette O’Neill We’d love to hear from you! Please contact us with your comments at 617.318.0210. Magalie, a longtime guest whose temporary protected status in the U.S. is not expected to be renewed by the Department of Homeland Security after January 22, 2018. She and her family then will be considered undocumented immigrants and will have no option but to return to Haiti. Three golf tournaments this summer provided Rosie’s Place with muchneeded support for our work. We were the beneficiaries of New England Coffee’s 25th Annual Charity Golf Classic at the Andover Country Club; the Real Estate Finance Association’s 2017 Charitable Golf Tournament at the Dedham Country & Polo Club; and the UNICOM Engineering Golf Classic 2017 at Alpine Country Club, Cranston, R.I. In photo, from left are Catherine Bagni O’Brien, VNA Hospice and Palliative Care; Katie Amoro, Rosie’s Place; Cristina Sadler, New England Coffee; and Donna Reese, New England Coffee. This spring Facebook COO and author Sheryl Sandberg (second from right) visited Rosie’s Place to learn about resilience from our guests while promoting her latest book, Option B, which speaks to the loss of her husband. We were also pleased to receive a gift from the Sheryl Sandberg & Dave Goldberg Family Foundation. This year’s Safe and Sound gala was a resounding success, thanks to the generosity of more than 300 Rosie’s Place friends, our largest crowd ever. We were thrilled to raise a record-setting $725,000, exceeding our goal by 27%. Held May 11 at The Cyclorama at Boston Center for the Arts, the special event featured Susan Wornick and WBUR’s Bill Littlefield as co-emcees, chef tastings and live and silent auctions. Critical to this success were event chairs Bank of America, Christina and Michael Gordon, Anne Kubik and Michael Krupka, Marriott Daughters Foundation, Michele May and David Walt, OMAM (in photo above), Deb and Mark Pasculano and Winston Flowers. For more than 45 years, Marilyn Justice of Justice Pottery in Newtonville has created beautiful, functional stoneware. When a pot comes out of the final fire, if she does not feel comfortable selling it, she sets it aside. Generally each year at least 150 pots are collected and then hidden on the Pottery site’s land. Folks who have supported Justice Pottery over time are invited to a “treasure hunt” on the last Sunday in April to search for pots, take as many as they wish and make a donation to Rosie’s Place. Over nine years, Marilyn and her generous “hunters” have contributed more than $12,000 to support our work. pe o H r s i g e n i h t T e e d r l i Bu Send Your G Send holiday greetings to your family, friends and clients, and give the gift of hope to poor and homeless women. The holiday cards you purchase from Rosie’s Place for business or personal use will help fund new beginnings for 12,000 women a year. With the addition of our newest card, Winter Evening, Copley Square, we now offer a choice of eight classic Boston scenes and whimsical winter illustrations in 10-packs ($18) and variety 15-packs ($24). Custom printing is available as well. Rosie’s Place is furthering our connections outside our walls with the hire of two street outreach workers. They walk the blocks in our neighborhood on weekday evenings to speak with women who are homeless or are spending time outside. We offer help addressing any needs they identify, providing information on resources and referrals or escorting them to service providers, such as hospitals, shelters and detox programs. Our outreach workers strive to keep our community safe and are able to provide emergency interventions such as CPR/Narcan and calling EMTs, when needed. Since the close of the Long Island Shelter, our neighborhood has radically changed, with drug use becoming more pervasive, and we believe a one-on-one approach will be effective in assisting women near us. More than 120 guests attended a health fair in July sponsored by the Wellness Center and our Community Health Worker program. Women met with representatives from 25 providers who ranged from local community health centers to Planned Parenthood to the Department of Mental Health to the Dana Farber Cancer Institute to BU Dental, all providing information and services relating to the physical, reproductive and emotional health of poor and homeless women. A generous friend has underwritten Rosie’s Place staff research trips to visit programs and people throughout the U.S. who work with women with addictions. By the end of 2017, a dozen staff members will have travelled to locations at the forefront of efforts to fight the opioid epidemic in the country. They will visit programs in Seattle; Kentucky; Washington, DC; and Ohio to witness and learn about new developments and effective programs and services addressing this crisis. The information on best practices in these areas will be analyzed for possible integration into our approaches to supporting guests battling addiction. Our School Collaborative, which partners with seven Boston public schools to reach more women who might benefit from Rosie’s Place services, held an outing for moms from the Holmes Elementary School and the Blackstone Innovation School this summer. Moms and kids enjoyed a picnic on the Boston Common and then a tour of the State House. This was another effort to enhance a sense of community among families and to bring together mothers from different schools. by making a donation online at www.rosiesplace.org/fallnews17 or by sending a gift in the enclosed envelope. we thank you! Support Rosie’s Place with a Holiday Event! When planning a community event or holiday party at home or work, please consider making Rosie’s Place the beneficiary. Monetary donations are most welcome, as they allow us to purchase gift cards and items not already received. 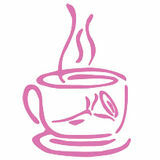 For a step-bystep Event Toolkit, visit www.rosiesplace.org/give/other_ways_ to_give/fundraising_events. Your generosity will help brighten the season for our guests and their families. Please contact Katie Amoro at 617.318.0211 or kamoro@rosiesplace.org for more information and to arrange a drop-off time. We hope to receive all holiday donations by December 8, 2017. Thank you for your support! We are pleased to welcome Loung Ung, author of the bestseller First They Killed My Father: A Daughter of Cambodia Remembers; peace activist; and co-writer of a Netflix film due this month, based on her memoir and directed by Angelina Jolie. Loung was only five when Khmer Rouge soldiers stormed her native city of Phnom Penh in 1975. Four years later, two million Cambodians—nearly 30% of the country’s population—had died at the hands of leader Pol Pot and the Khmer Rouge regime. In 1980, she, her older brother Meng and his wife escaped by boat to a refugee camp in Thailand before relocating to Vermont. Loung is a compelling storyteller and an inspiring woman, and we are looking forward to hearing her message of survival and hope. The afternoon will be co-hosted by longtime friends and luncheon emcees Susan Wornick and WCVB’s Karen Holmes Ward. They will be joined by anchorwomen from Boston television outlets: Kim Khazei, Kate Merrill, Latoyia Edwards and Vanessa Welch. This event is made possible through the support of Headlining Sponsors Bank of America, Christina and Mike Gordon, Linda and Jay Hooley, J.Jill, Michele May and David Walt, OMAM and Deb and Mark Pasculano; Presenting Centerpiece Sponsor Neiman Marcus Natick; and Leading Sponsors Boston Interiors, Holly and David Bruce, Shirley A. Fennell, Globalization Partners, Jane Kringdon, Anne Kubik and Michael Krupka and Pioneer Investments. At the luncheon you’ll have the chance to network with other Rosie’s Place supporters, shop for gorgeous jewelry made by our guests, win a fabulous centerpiece from Neiman Marcus Natick and hear the inspiring stories of the women of Rosie’s Place. All proceeds from the afternoon help provide food, housing, advocacy, education and employment opportunities—and so much more—for the 12,000 women who visit us each year. “Every year at FWSB, we celebrate Rosie’s Place and the loyal supporters and new friends who are key to keeping our doors open for every poor and homeless woman who wants our help,” says President Sue Marsh. “In the best of times, our guests work hard to make ends meet; in the meaner times, they count on Rosie’s Place even more. From food programs like our Dining Room and Food Pantry to material assistance and advice provided through our Overnight, Advocacy and Outreach programs, we aim to help women meet their biggest needs, right now. Thanks to our committed luncheon guests, we are able to make all this possible.” You can support Rosie’s Place by becoming a sponsor or by purchasing your tickets today. Tickets are $200; to order, visit www.rosiesplace.org/fwsb. For questions or sponsorship information, please contact Katie Amoro at kamoro@rosiesplace.org or 617.318.0211. We hope to see you on October 24! Join Friends of Rosie’s Place for our Fall Night Out! You’ll have the opportunity to enjoy a variety of Night Shift favorites while meeting other young professionals and learning about our critical work, all in Night Shift’s newest space, the Annex. Tickets are $25 and include one drink ticket, pretzels from Fat Boyfriend Bakery and other local fare. This is just one of many exciting events in and around the Boston area we are planning. For event details, or to join our planning committee, contact Kristen Leonard at kleonard@rosiesplace.org or 617.318.0232. Stylists at Salon Mario Russo and Lisa Donovan and other on-air personalities from Kiss 108 are coming together again for the 8th Renew You cut-a-thon. Customers receive a discounted cut and blowout at the event, with the proceeds supporting Rosie’s Place programs and services. Be sure to listen to the Matty in the Morning program on Kiss 108 it’s the only way to know when it’s time to book your appointment, and they always fill up fast! Save the date for the 15th anniversary of WBUR 90.9 FM’s reading of the Charles Dickens classic, A Christmas Carol. You will hear your favorite WBUR personalities bring this timeless tale to life at Boston’s historic Omni Parker House, the site of Dickens’ first reading. Tickets are $60 and all proceeds benefit Rosie’s Place. Tickets will be available in November; check back at www.rosiesplace.org/wbur for more information. Mark your calendar for Tuesday, October 24, 2017, from noon to 2 p.m. at the Hynes Convention Center for our annual luncheon, Funny Women…Serious Business, which brings together 1,700 supporters to celebrate Rosie’s Place’s unique mission. We are looking forward to another sold-out event and to raising critical funding for our work. 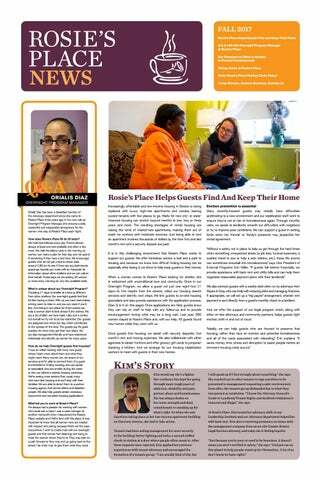 Recent news and stories from Rosie's Place.